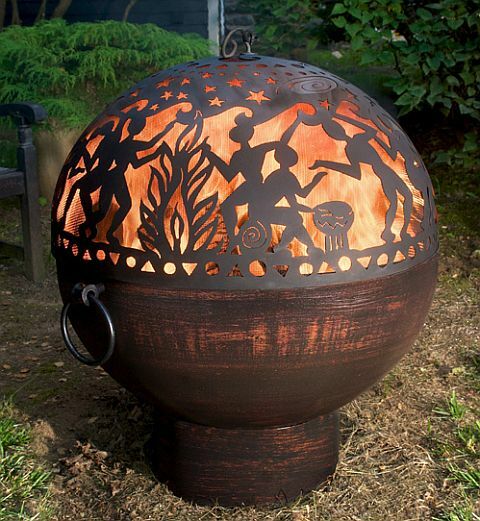 This 26 Inch Fire Bowl with Full Moon Party Dome is hand crafted from the finest materials to withstand the elements. Fire bowls are not only great for extending the use of your deck or patio into the fall and winter but are great conversation pieces that provide a brilliant glow and heat up your backyard gathering. Plus, they are great for roasting marshmellows too! 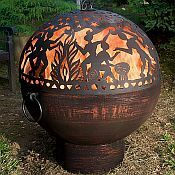 The base is made of wrought iron while the fire bowl has a hand-hammered copper finish. The protective spark screen is made from powder coated steel and a woven mesh screen.